Real Deep carpet cleaning in Trabuco Canyon, California. Although we have cleaned the carpet of a long time customer, we have not visited the home for a deep carpet cleaning in a couple of years. Also, the carpet in this home in Trabuco Canyon is a basic grade carpet. Therefore, when you neglect your carpet cleaning for a couple of years, it becomes hard to work with. More so, when you neglect a basic grade carpet for a couple of years, it becomes a real combat against the carpet and the stains. Therefore, this carpet cleaning in Trabuco Canyon, California, should have happened a long time ago. Nevertheless, it is important for us to show you what we were still able to do on this carpet. It means so much to us to see that we exceed your expectations. 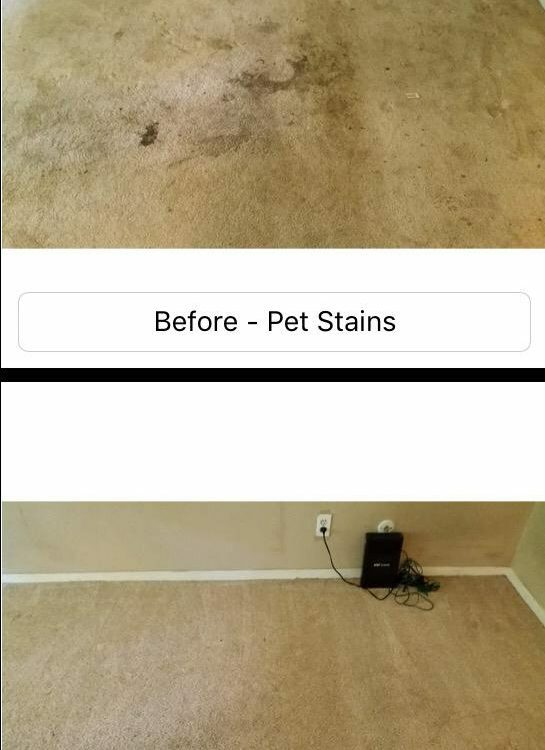 Pet stain removal carpet cleaning in Trabuco Canyon, California. In addition not attending the carpet maintenance for a couple of years, the carpet also has sever pet stains. As you can tell in the photo attached to this aritcle, the carpet has deep black stains and all around also yellow pet stains. Therefore, we had formulated our extra strength carpet cleaning formula for pet stain and odor removal. 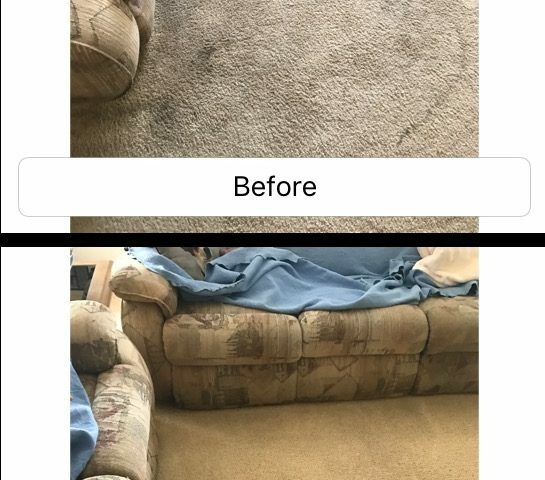 In addition, before we started pre treating the carpet, we applied all troubled areas 100% pure anti bacterial in order to give it a true chance to be restored without drenching the carpet with water. As you can see, the results are easily showing. The carpet looks much more alive and smells so much better. Green carpet cleaning in Trabuco Canyon, California. Many of our customers care about the products we are using in our carpet cleaning process. Just like this customer we served our carpet cleaning in Trabuco Canyon for. Well, we do carry to top shelp carpet cleaning products in order to give you the safest carpet cleaning process with the best results. For more information about our carpet cleaning in Trabuco Canyon, California, please contact Dr. Carpet.